here are many types of scholarships that you should notice before you decide to apply. We will tell you briefly about a few types of scholarships that are commonly seen. Fully funded scholarship covers everything whenever you are holding the scholarship award. The scholarship is being covered Living cost, tuition fee, accommodation, airfare, insurance. The coverage is not provided differently regarding of different scholarship. Refer to scholarship that will cover some parts of your study, for example, the scholarship will cover your tuition fee but you will have to support yourself for food, accommodation and airfare. Fellowship is used as opportunities that last from a few months to several years. This is provided in the purpose of helping candidates to broaden you knowledge and leadership in one’s field. This scholarship can be awarded by private organizations, public institutions or directly by the university you are intended to study. Most of these scholarships are awarded based on your academic merit, volunteer and working experiences, and as well as your commitment or potential. Many merit-based scholarships are provided without regard for financial need. Some scholarships just restrict the nationality or field of study, but there are some scholarships that restrict the gender. These scholarships are available for only women, which is similar to some scholarships provided specifically for ethnic group. Scholarships are being provided more than just provide financial aid for college, the can also provide a pathway into the worlds of business, science and politics. Need-based scholarships are awarded depend on your family financial condition. In Europe, those scholarships are often referred to as student grants and offered by public institutions such as governments (government funding) but also by charitable organizations sometimes. 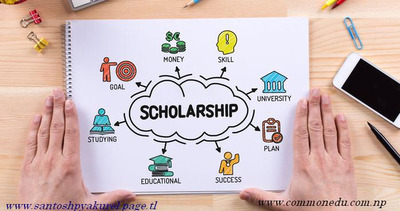 Although you are not the citizen of that country, you can also apply for this type of scholarship if you meet the requirement of scholarship or university. Till today, there have been 14891 visitors (25027 hits) on this page!